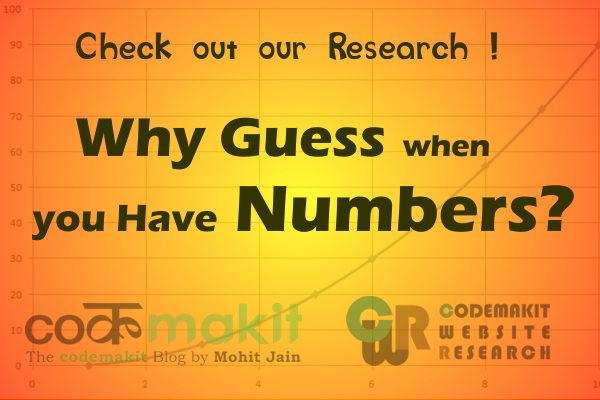 This article is the complete study conducted by codemakit Website Research. If you feel that the contents are too technical for you, you may want to read the simplified summary presented at part I of the article first. Based on the data obtained from 190 Web Pages and their page views, the following observations were found. The data available were the number of views, and the date of publication of page. Since the pages were linearly published (i.e. 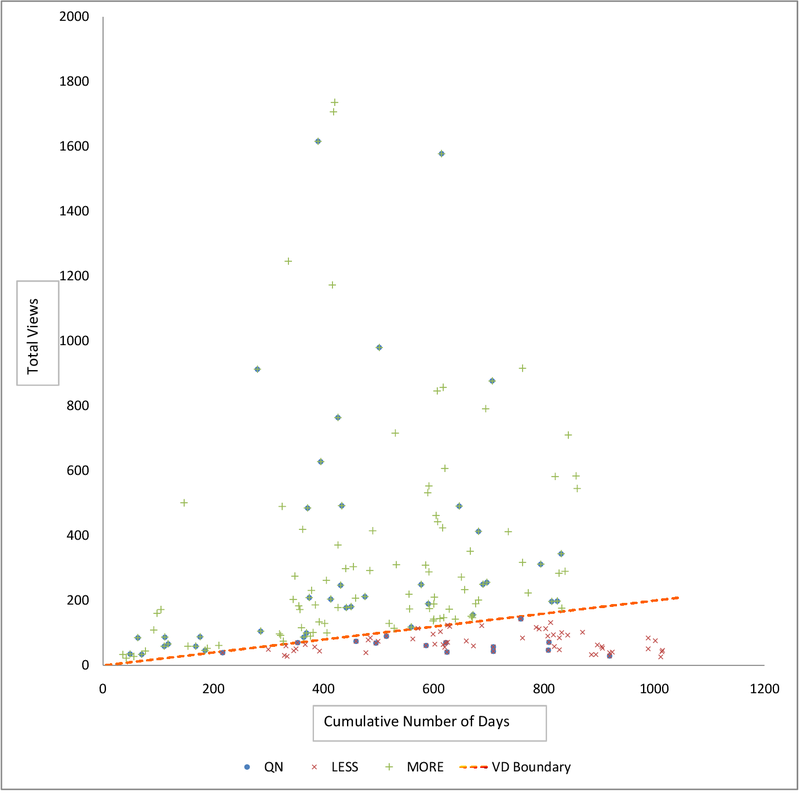 one page after another), the difference of the number of days were found and Cumulative number of days were found. 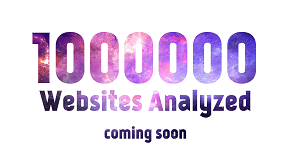 Cumulative number of days helped in determining the number of days a webpage was present on the website as published. As a page's page views and the number of published days are directly proportional. The complete Data Set containing information in pdf for all the blog posts is available for perusal here. To probe this even further, Consider Page A has 200 page views and Page B has 20. This cannot be called as the complete indicator of the actual worth of the page, As Page A might have been published a year ago and Page B just a week ago. Hence a balanced base is needed to determine whether a webpage is performing well or not. V/D ratio was found out. The V/D ratio is the ratio of the number of page views per unit cumulative day. The ratio is a perfect indicator of the number of how well did the page do in terms of garnering visitors. Using V/D ratio the index for page A would be (200 page views/365 days) and for page B as (20 page views /7 days). The ratio for Page A comes to be 0.548 and for Page B comes to be 2.85. The page A which at first looked better in comparison to Page B, now doesn't look worthy at all. Hence a normalized base would help in determining the true worth of a page. Now all Web Pages which had a V/D ratio less than 0.2 can be safely said to perform worse than its counterparts. Hence all Web Pages with a V/D ratio less than 0.2 come under its purview. There were 53 lesser ones. Just like the name suggests, all the Web Pages with a V/D ratio more than 0.2 were called as the greater ones or the ones that performed better. There were 123 Greater ones. 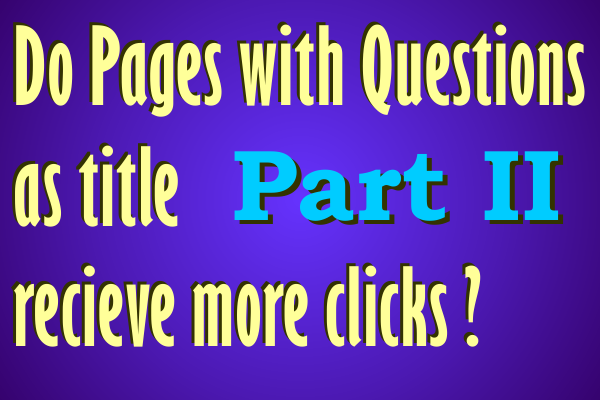 Each webpage which contains a question in its title text is a question type webpage. There existed 63 question type Web Pages on the said website. How did we arrive at V/D=0.2 ? Note. It must first be understood how the value of 0.2 was obtained. The complete analysis being a really simple one, It was thought that the sample could be plotted on the graph based on its frequency. The graph was then created taking V/D ratio on the abscissa and the frequency at ordinate. The resultant graph was a sharp bell shaped curve. The sharpness was due to excessive variations among the sample group with different number of Web Pages having inordinate differences in their V/D ratios. Hence, The Graph was then magnified at its peak in the hopes of arriving at the dividing value. This graphically came near 0.2. Summarily, It was found that, The Webpages with questions as their title text that performed poorly was 21.21%. However, The Webpages/Articles/Blog Post with questions as their title text which performed poorly was just 21.21%. In Short, if you put your title text as a question for any webpage, you have 50% more chances of making it more famous. It is however pertinent to note that, the study took 197 webpages and had to exclude some to maintain the sample's integrity. The study was conducted on a single type of website with a single Page Rank and hence same results cannot be expected for any other. The study could be extended to cover other types of websites too. These could be analysed and results displayed. Also, one must understand that the criterion for determining if a webpage performed good or poor, was created based on the overall performance of the website itself. Hence, there exists a need for determining independent criteria for websites of different types, page ranks and visitor interaction. Also, you can bring people to your webpage, but making them stay there is wholly dependent on how you present the content. Bounce rate isn't too irrelevant you know. Is the Study too technical for you? For a much simpler version of this study you can visit the part I of the series. If you still have doubts or would like to share your own story, comment below, we'll be happy to answer.